Men are typically discouraged from sharing their feelings, which only compounds the pressure of being a new father. So, this Father’s Day, consider reaching out a new dad who may be struggling. Even though men don’t experience the hormonal and neurochemical changes of pregnancy and childbirth, research suggests that environmental factors surrounding becoming a new father can trigger clinical depression. Taking small steps each day to look after yourself can help avoid bigger problems down the road. New fathers aren’t often encouraged to look after their mental health, but Cards for Calm is designed to help them easily do just that. Stuart Fitzwilliam developed depression following the birth of his first son. With the disease now in remission, he wanted to share those tools and mindfulness techniques learned in therapy. As he was looking for a way people could address the anxieties and negative patterns of behavior they saw in their lives, he began to develop the card game. Cards for Calm can be played alone or with friends. It will help you create spaces in your day to focus on what really matters to you, to find new ways to deal with anxiety and create structures to pursue your goals. 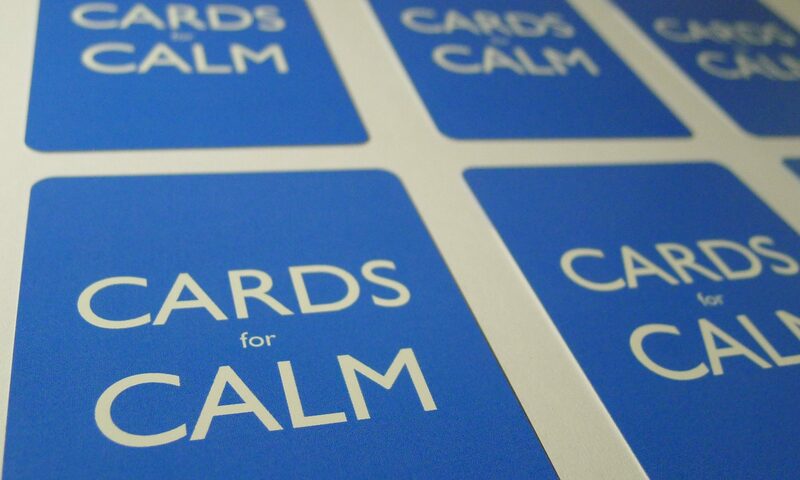 Cards for Calm is designed to be played throughout the day. Each card takes just a minute or two, so you can play whenever you find a moment in your busy day. For new fathers, taking even just a little time to deal with their emotions can be transformative.